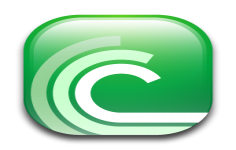 BitTorrent is a Peer-to-Peer software specially designed for sharing files over the Internet. Being very effective and compatible with all customer torrent Peer-To-Peer, it can play some video files to discover their contents. BiTorrent allows to quickly distribute large amounts of data. Each transferred packets are analyzed during the transmission and the data will never be damaged on download. The application monitors the bandwidth used and the open connections. This tool is specifically adapted for the launch of new products so that if everyone is interested in the same file, all downloads will be done simultaneously which will be an important reserve bandwidth during the download time for each user. Curently we don't have any log information about BitTorrent version 7.10.5 Build 44995 for PC Windows. We will this change log update soon!